The waterfront River Lodge nestled on a bend northeast of the Cape Fear River is a great outdoor space, full of character and rustic allure. It’s a magical location for festive cocktail parties, receptions and barbecues. Daytime events are great here among the scenic waterfront and tall trees. But, when the sun goes down and the fire pit glows, the magic of this unique venue really shines! This open-air venue offers you and your guests the perfect place to celebrate. 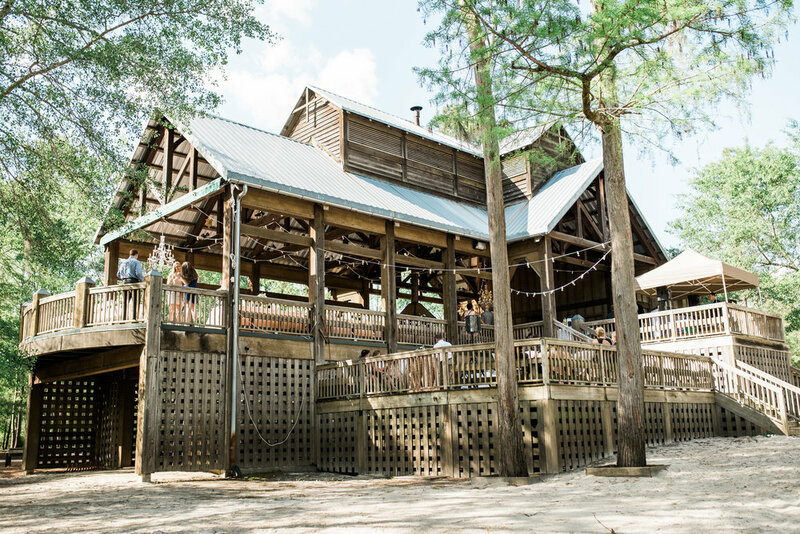 From a rustic riverside wedding to a corporate cookout, we can transform the River Lodge into the venue of your dreams. 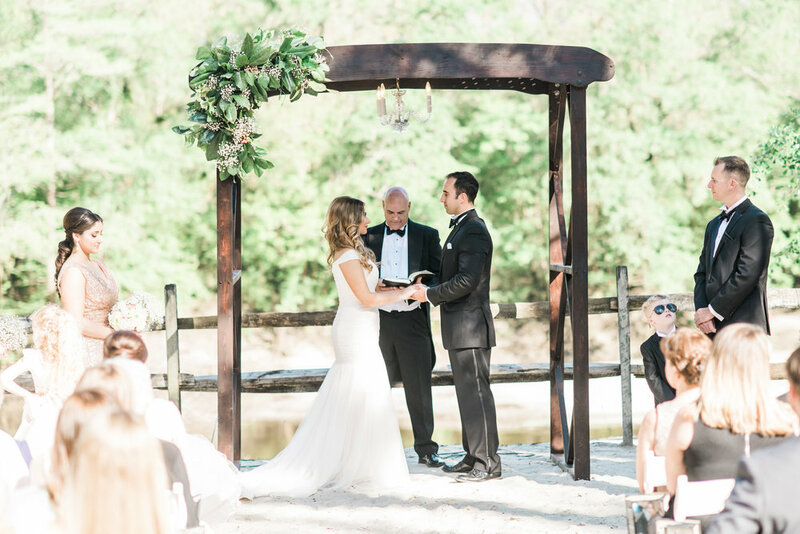 Have your wedding ceremony riverside, then head up to the decks of the Lodge to celebrate! The full River Lodge can hold 120+ guests, while the covered roof is perfect for 70 - 80.